Okay. It starts rather well then it failed to keep my attention. I think I know the problem though. The premise is just not suited for a very prolonged story. Read the description... Does it sounds like something that could last for 1100+ chapters?... No! The best form for the premise is a short story or at most a novelette. It is a perfect premise for a short fiction. Or if the author wants to stretch it really long, then it could work as an episodic serialized story. A collection of stories of... more>> various people that are affected. Something like Hell Girl or Pet Shop of Horrors. With Hell Girl, the premise is about a website where you can access at midnight where you can use to send someone you hate to hell. Pet Shop of Horrors has this shop where you can buy exotic animals except that it comes with strict terms that results to serious consequences if broken. The premises are similarly suited for short burst. Also like Hell Girl and Pet Shop of Horrors (both of Horror genre), Black Card premise is really suited for Horror, and this is where this story fails terribly. It is Horror material right there! It instead opt to be Slice-of-Life and Comedy and destroying any tension and potential the premise has. As a Comedy, its humor is really weak. NU doesn't recognize it as Comedy, but seeing how often the story tries hard to be funny, it should be one... Just that, it is not funny at all. The author just can't do comedy. As for the Slice-of-Life it focuses on the MC using the expensive products he buy and the lifestyle he now had. It is easy to see how repetitive and boring it is. Not to mention how it conflicts with the nature of the premise. Any slice-of-life moments this story have is redundant because they don't connect to the plot and conflict. They become fillers to stretch out the plot. And the worst thing is, the story focus on this. He buys something, and a chapter or two is devoted for that. He buys another thing and another chapter is devoted to this new thing. And so on. It is just boring. The author could have opt for Horror-Comedy as all the ingredients are already there. Instead, the story is forced into an incompatible genre where it just becomes boring, pointless and repetitive. At least, I didn't find this story insulting or infuriating so far. Just really really poorly executed. I didn't say it falls into the horror genre. What I say was, the premise is better suited for horror. I'm a He and I never find any of the humor here funny. And only serviceable? Well, still good for you. At least you find it serviceable. Horror and Thriller do overlap that many says that they are the same thing. Though I think Horror fits better because of the outcome. You'll lose body parts weekly! Come on. That is horrifying! Just imagine loosing a hand or an eye! And that happens once a week! There can be Thriller elements, but the premise is clearly Horror! Integral? Yeah... Sure... Whatever. If you believe so. Yes! Surely these can't be summarized because something like buying a phone, or eating lobsters, or buying clothes has such deep and intrinsic connections to the main plot that the main plot becomes incomprehensible if these are summarized. A chapter has to be dedicated to it because they so so important! That is the only weakness you see? You have such a low standard. The MC is a racist. Already obvious from the cell phone discussion (clearly hating Koreans and Japanese people). The MC acts like a sniveling coward, being very obsequious to villains. It's actually unpleasant to read the MC's interactions with the card. The whole novel seems like it's meant to be funny, but ends up just being weird and offputting. Second, playing games is one of the easiest ways to burn money and just p2w, but instead he does real word stuff like going shopping and eating at expensive places. Third, either the money value doesn't make sense or I don't understand Chinese economy because he sold his phone for £11.00, then ordered an expensive car as a taxi at a cost upward of £2.50 like wtf then he said laptop costing over £8000. Im so done for that price I can buy the best gaming desktop currently available. I though it was good in the beginning, but later on it just entered the level idiocy. Is was kinda interesting with all the rules making him use the black card, but his way of thinking how to use money is just ridiculous stupid. There is so many ways to go and the best thing he could think of was buying expensive clothes, laptop and eating lobster. This clearly is a immature author writing the novel. Also the way the author try to put the MC on the sage path... more>> is intolerable. MC is a 20+ years old virgin and the author actually make him into a sage. He has money and the best thing he could have though was to invite his friend to eat lobster and be role model tutor. No normal guy his age think or act like that. Unless he is gay or seriously decided to become a priest. Basically these kind of MC would have their love ones already cuckold if there wasn't any plotarmor protecting them. it' definitely a light novel with big potential but I don't know why he can't just google ' How do I spend money infinetly' and he'll get a bunch of answers for his worries easy right ? 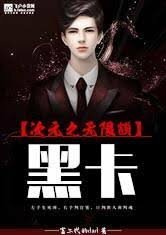 Or hire someone to beat up the thugs in ch 10 a lot of solutions anyone can think of but the author is like forcing him to have problems to get the story going and showing how poblems arise when you have too much money but in reality it's definitely not true. It's interesting at the start and I knew this one is going to be a slice of life but the story does not really improve that much considering every week he will receive money and has to spend it all. The system seems like forceful and fearful but in actuality, there's nothing much about it. The personality of the Scepter and MC is pretty boring and the openness of the story is very restricted. It's got a lot of potentials but the ideas pertaining interactions of characters are bland, the... more>> functions and motive of the Slave Department & Scepter are vague for now and I find it unnecessary, I really don't think that the mysteriousness of it will have a big impact later on. Overall for the story, I'll give it 2/5. It means I won't even read it even in my free time. Well... Im not good at reviews, but ill do my best this time. This novel is practicly about the unfortunate MC that needs to spends huge cuantities of mony like in Norway or Dubay, where there really is easy to spend, in a small city of china that is barelly consideret as passable to make investments. The MC can not buy everythink that he wants like gifts to someone or to waste food or something similar, and is practicly monitorized 24/7 in everithing he does. The story develops slowly, so you will need... more>> to read up to ch 70-100 to really understand how unfortuned is the ms. There are some things Black Card does right, and some things it does wrong. The system behind the Black Card itself is probably the most developed, along with the MC's personality when dealing with it. However, the story does not have anything... potent enough to keep a reader's interest. Spending and investing can only go so far, and the attempts at romance is passable but not noteworthy. Issue here is that the rules for the Black Card's use limits where the story can go. You can't simply throw in a bunch of... more>> young masters the MC can pound to death with cash, cause rules are he can't use the money like that. As the story progresses, it devolves into a pseudo-political/social story where MC focuses on promoting his personal connections in order to take a step into the world of the rich. The only problem is that this is incredibly boring. While I do like the girls introduced, and do want to see how the romance will develop, the rest of the story is just too boring to keep my interest. However, it isn't badly written, and I don't really understand all these 1 stars. Plot and development-wise, the story is far better than most and only lacks an edge to make it the best. This novel is a huge missed opportunity. The premise and start are amazing but the characters are too childish and everything falls apart fast. I really liked the premise, that was basically an opportunity where you risk your life, but the main character is too passive to take advantage of it. The author keeps saying how smart the main character is trying to figure out the rules but he doesn't really plan anything beyond "what to buy next week." He treats rich people as gods and doesn't try to learn from... more>> them at all. He gets led around by a s*xy women, does everything she wants for no reason, and the narrator tries to aassert that he's immune to her charm. I doubt he'd follow an ugly fat homeless guy around, so it's pretty obvious that he's not immune or that smart. The first few chapters are not very interesting since the MC looks like a fool for me. He's got money but he's worried on how to spend it? Can't he just donate to the charities/orphanages/foundation if there's a quota to reach? He can't? Then why not start a business where he would have to constantly pay his employees, buy stuff and bribe some? Surely, there are maannnnnnny more effective and rational ways of spending money, right? Hehe, that's what I was thinking when I started reading it so I was... more>> really dissatisfied with the MC's actions, add to that the shameless qidian promotion on one of the chapters. The heck, there's also blatant racism and I'm sure this point was mentioned already in one of the earlier reviews. I won't rate until I done or at least catch up with the TL for this novel. The interesting part of this novel is how a person with money will spend it, it was interesting so far but if you think about it in a moral basis this novel is seriously have some major defect. Most women character in this novel are either tool for s*xual interaction or just things that have a price tag, regardless of the author reason it is really sad putting a price in a women especially when MC is still a virgin. Another two girls who is close with MC the author portray them as an innocent girls with a B*tchy and perverted attitude and they both want to r*pe MC so bad that MC is always on guard towards them and again MC is still a VIRGIN! Another thing is how male characters act in this novel they always have a s*x party in the background, can author just write a normal male character without making this people F*ck every girl they see? although they have s*x with all random girl in the story it has yet to touch mc's women but seriously why must all male enemies f*ck a girl to relieve their stress toward mc! and for Christ sake MC is still a VIRGIN! "Good job I already prepared a room you can choose any girl you like"
"I invited you later in a bar we have prepared a lot of s*xy girls you can have s*x to anyone of them"
"You can choose any girls in the bed that I already F*ck pick anyone you like"
I don't know about other reader but for me I realize specter is female by how she speak and interact with MC, you can compare specter to other female character and you will notice it maybe. As for the black card I think its EXPERIMENTAL stage so it's not fix as what MC discover (you have plot armor to thank that). Their are so many hidden rules that MC has yet to discover and many rules that MC has yet to change. How MC seriously struggle between money and women and still remain a VIRGIN! Cliche characters appearing out of nowhere becoming mc's enemies and MC trash them at the end. face slapping people who are stronger than MC. Plot armor is not very powerful in this novel because the only thing that MC must avoid at all cost is not to let a single cent from unspent because it can instantly kill him. why? because for some odd reason the author target MC D*CK as a colateral if MC fail to spend all the money. The author shows no mercy to MC not only MC remaina virgin if he fails to spend a single cent the first thing to disappear is his D*CK! JUSTICE for MC! and the most important thing is it's fun and I enjoy reading this novel! I don't think that it is as simple as other people have said, he can't just spend money, he needs to be sure how much the item is worth before buying it. What if he spent a big amount of money to buy an overpriced plane? He'd be screwed and he would need to pay from his own pockets or die. The idea is that he needs to know the values of items he buys and most people try to make profit on whatever they are selling, its not easy for... more>> him as a poor guy to understand how much something would cost that he never even hoped he'd own before. It gets quite annoying that he spends so much time with other women and their problems, I wouldn't mind it so much if he wasn't getting involved with new women/girls every few chapters. I don't really like harems but I can ignore it if there is substance to the novel outside of it. This is the biggest issue I have with this novel. Nice idea but poor execution. The MC was very immature and there were a lot of unnecessary characters involved. Got to 145 before I dropped it and it was all because it was not going anywhere. Filler material and a whole lot of impracticality. Complete waste of time. [ Review #1 ] The rating of 46% say "Bad" and I rated "Super". It definitely has some flaws, but this story has reasons for some of them. I have enjoyed this novel for the situation 'forced' onto the protagonist. The very beginning is~ a bit different from the rest of the story, but the plot continues and the elements will remain. When you play a game you must learn how to play. When you read this novel you may need to learn how to play, then you might enjoy it. I think this novel is good and fun to read. Black card teachs MC how to spend money more wise, more efficient and effective. As people who rate it one star... It must be Korean or Japan lol. Sorry, I think mc's racist level is not to mass murder other nationality or incite world war. Even one star is an insult for the time lost on this novel. I have to admit that, the beginning, as everyone here already said, had amazing potential. However, the author, presumably because he is either a) an imbecile b) his first work, couldn't capitalize on the novelty and focused on trading the same path of modern Chinese novels. Authors trying super hard to defend MC's train thought when what he is doing is plainly stupid. Another thing I would like to emphasize is the utter stupidity of saying 'I'm not... more>> charmed by her beauty' when the girl is leading you by the nose. It is like saying: I'm not drunk, look how sober I am. Then you stumble and make a fool out of yourself. The author tries to camouflage his mistakes with stupid and flawed reasoning while readers can see author's amusing tricks. Amusing and pathetic.